This interactive CD-ROM contains 51 questions and utilizes a case-based format. Each case is accompanied by a figure, which may be from a polysomnogram, an actigram, a hypnogram, sleep log, or other sleep medicine-related entity. The case is accompanied by a multiple choice question in which the reader is given immediate feedback about the accuracy of their answer and a succinct rationale. In addition, each case has several references for the participant to utilize if further reading is desired. The interactive format is a fun and stimulating approach to learn more about the diagnostic tools used in sleep medicine. From start to finish, each question should take readers approximately 10 to 15 minutes to complete for a total completion time of approximately of 510 minutes. This educational activity is intended to benefit polysomnographic technologists and physicians practicing sleep medicine. 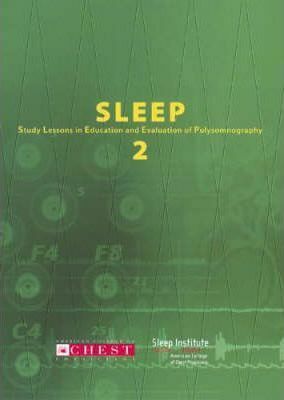 This second edition of the SLEEP CD-ROM complements the first CD by covering a variety of additional topics as requested by users and includes not only polysomnograms but other diagnostic techniques utilized in sleep medicine.